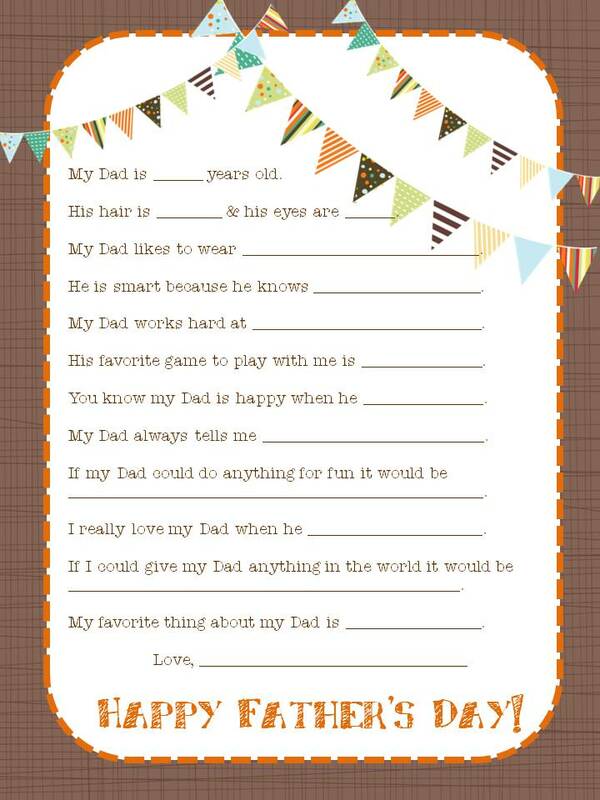 These seem like simple sentences, but become ones to cherish when little ones fill them out about their Daddy. 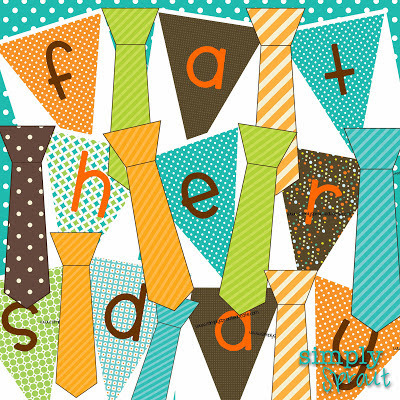 Many schools do similar lists for Mother's Day, but sometimes fathers get left behind because of the school being out for the summer. Right click on image, copy, and paste into a Word document. 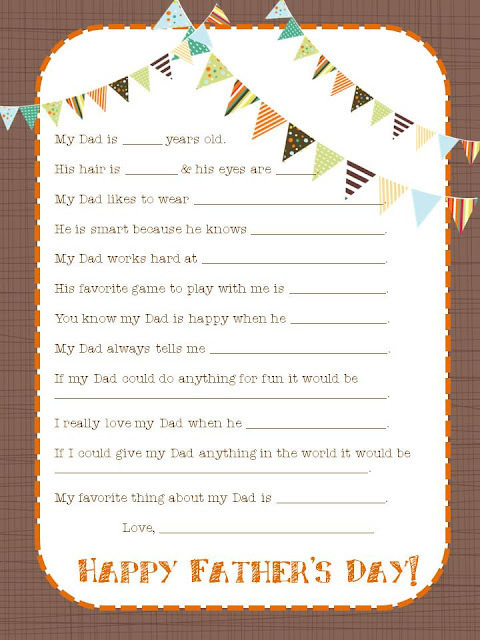 Looking forward to filling these out with the boys for years to come!